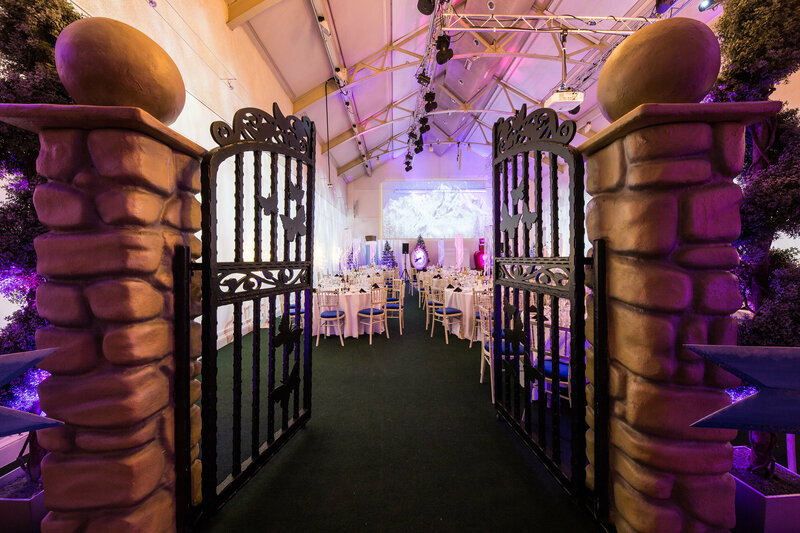 Guests arrive at the venue and enter the Manor House through the grand front door entrance and are taken through to the “Manor House” mezzanine overlooking the dining hall. 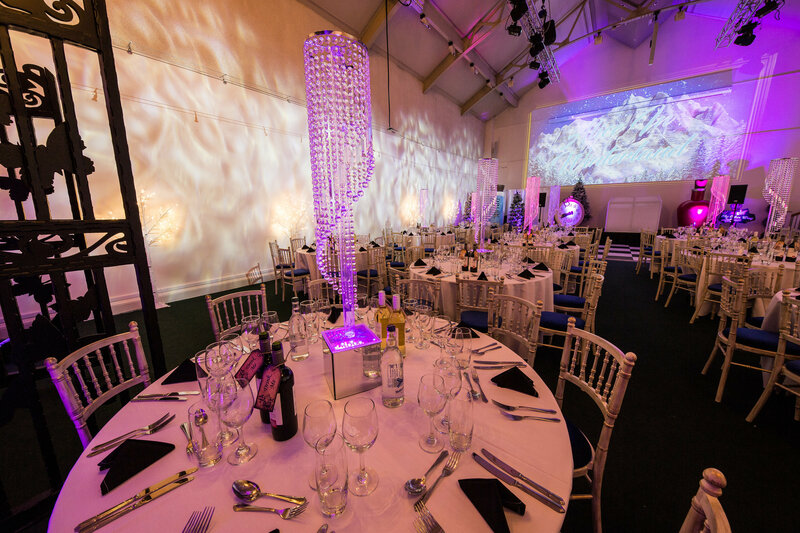 Turn left at the lamppost and you reach the Ice Palace Dining Hall, the stunning space is enchanced with crisp ice white linens, illuminated table centres and glacier bar. 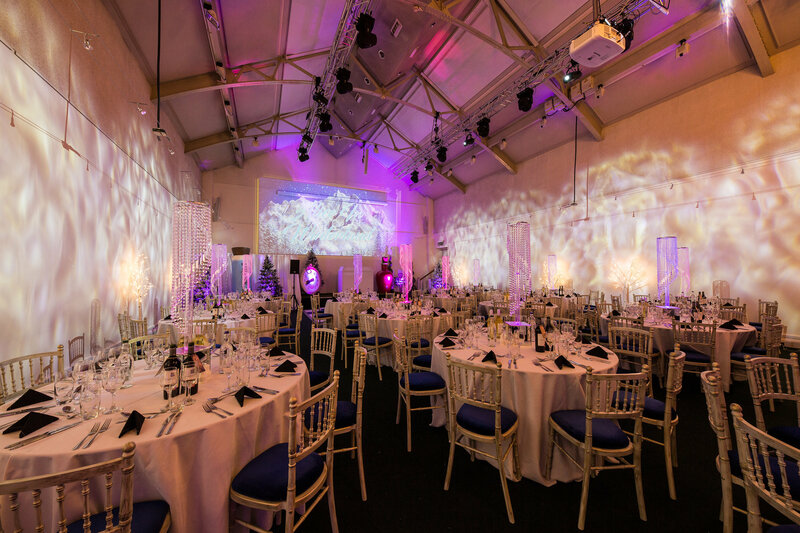 Snowflake projections cover the wall and tea light chandeliers hang from the ceiling creating a truly magical setting. The feast is a three-course dinner served by the Winter forest waiters followed by a disco ensuring guests party through the night! Thank you to you and your team for such a fantastic event! 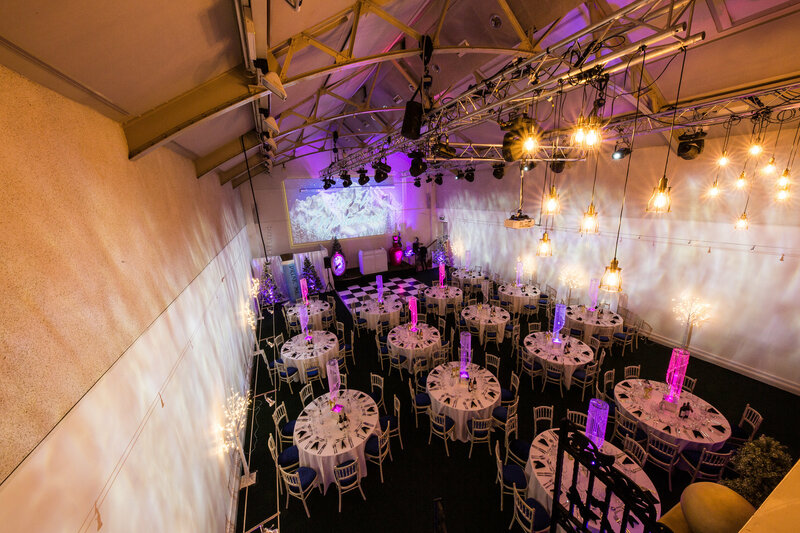 The venue, food and entertainment were amazing and the whole team agree it was the best Christmas Party yet! We look forward to booking with you again next year! Just wanted to say thank you to all at Awesome Events for our party last night! It was our first time trying a mixed group party night and it went down really well. The food was fab and the range of entertainment and things to do kept as all busy. Thank you guys, you really are Awesome!